Looking for a healthy snack with an exotic twist? Let these mango-infused Crunchy Apple Chips transport your tastebuds to the tropics. The joy of biting into a juicy, ripe mango meets the crunch of perfectly dehydrated apples. A trip to paradise… anytime and anyplace. 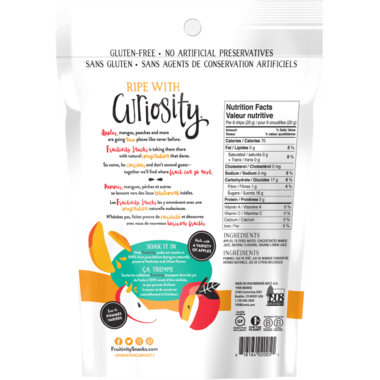 All of their products are gluten-free, non-GMO, and free of common allergens. No added fillers. No chemical preservatives. Nothing artificial. Ever. It’s called the “king of fruits” for a reason, a tropical pleasure for every season. 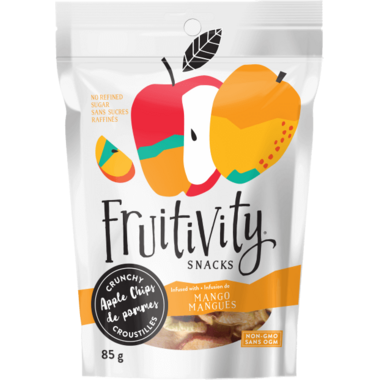 Now apples and mango can finally meet, and snacking has never been quite so sweet. These are delicious! Great for school lunches, or a healthy after school snack!